Set within Brooklyn’s transformative Williamsburg neighborhood, KSQ took its design inspiration for two new condominium buildings at the intersection of North 10th Street and Berry Street from the industrial architecture surrounding it. 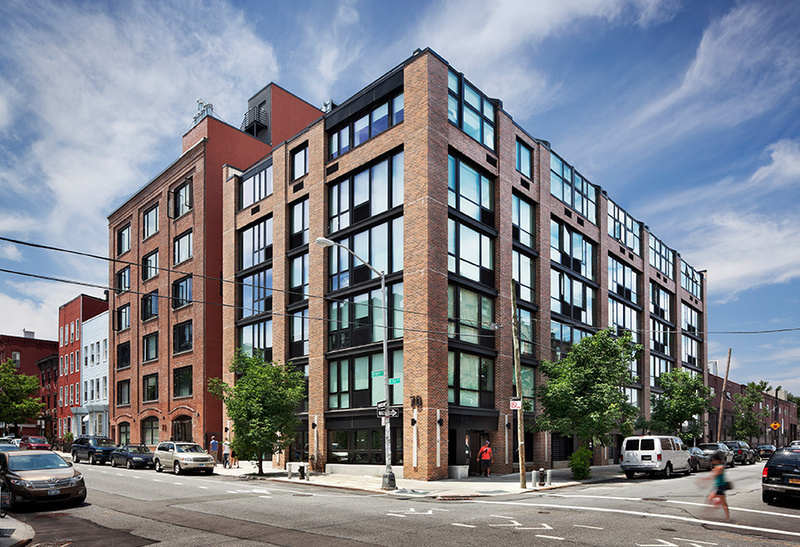 The buildings’ contemporary use of brick, metal and glass blends the project into the surrounding warehouses, high-rise condos, garages, and converted lofts in Williamsburg. 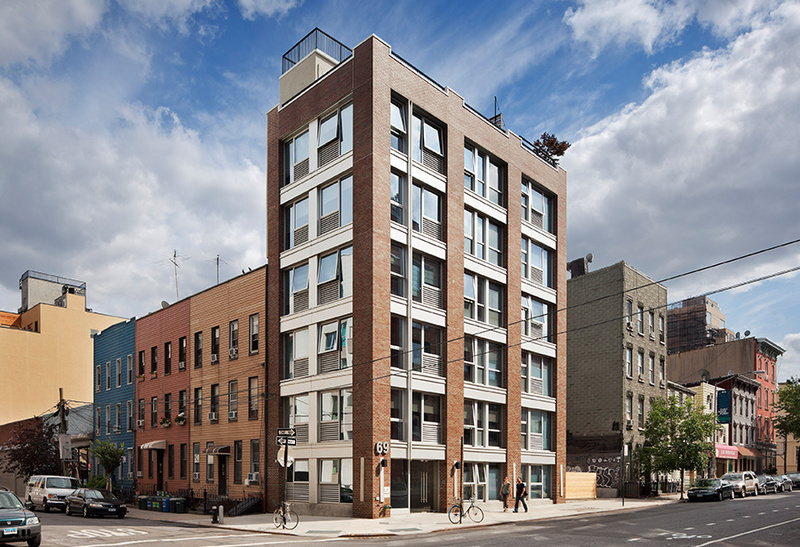 The smaller six-story building at 128 N. 10th Street has full-floor units offering a little under 1,000 SF. All six units have direct elevator access and oversized windows. The second building at 70 Berry Street is seven stories and 55,000 SF with glass panels along the exterior’s top level allowing light in and creating visual interest. Multi-story glass features between principal columns throughout serve to further push the modern feel and create the illusion of lightness. 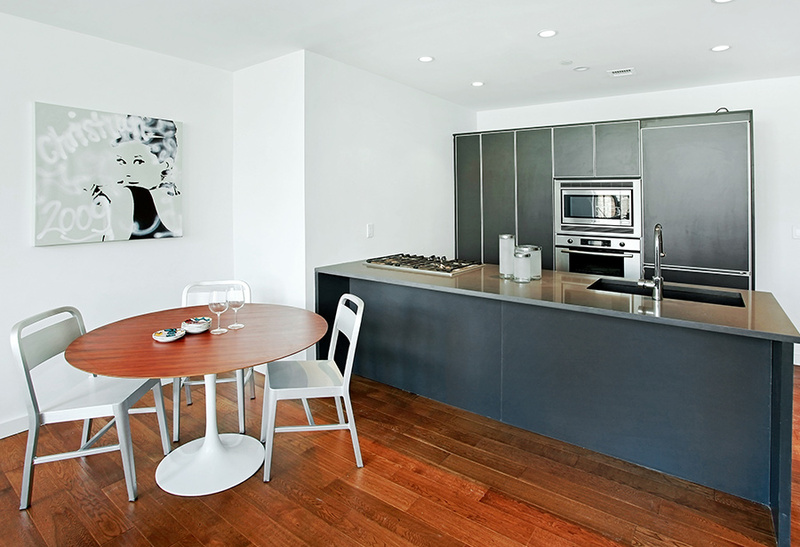 The residences are two blocks south of McCarren Park, three blocks west of the East River State Park, and a block away from Bedford Avenue. 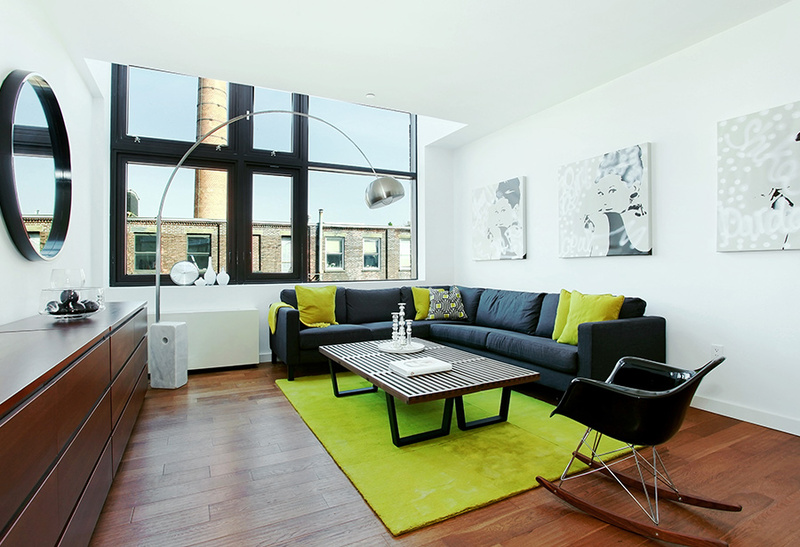 The combined program offers 40 luxury apartment homes with a fitness-media center, outdoor gardens and terrace space. KSQ Senior Associate and Project Manager Rachel Birnboim Kochman, AIA, LEED BD+C, managed the project and is currently building a new 90-unit multifamily project for Essex Capital currently under construction and billed as the largest residential project underway in Ridgewood, Queens, by Crain’s New York. Client: Essex Capital Partners, Ltd.